Excerpts of veteran author and actor Adebayo Faleti’s widow, Olori Olubunmi Abosede Faleti’s recent interview with Sola Adeyemo in Ibadan. 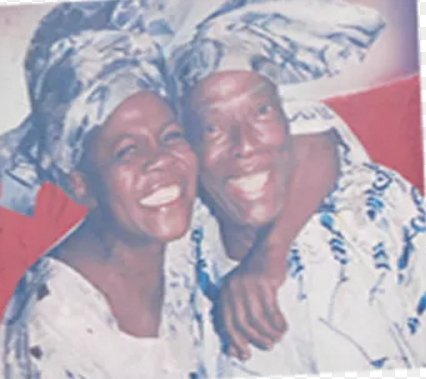 It is being rumoured that the late Baba Adebayo Faleti had more than one wife while some are even saying that he had up to four wives? How true is this? No; I don’t know about that, because I married Baba as a young girl after I left secondary school, and Baba never for one day told me he had married before or during our courtship. And after I married him, he didn’t marry any other woman. How did you meet Baba Faleti then? When I was in Form Five during one of our inter-house sports competitions, Baba was invited as a guest. 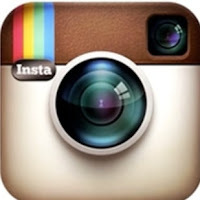 The name of the school was Christ High School, Oleyo, Challenge-Orita, Ibadan. I was involved in sporting activities at the time. After the event, someone came to tell me that one Baba wanted to see me, I never knew him before then. Later he gave me the description of his office at the time (Broadcasting Corporation of Oyo State). I visited him and we talked. Later, they formed a choir group called OYO Fans Club Choir and from our school we would be taken to the radio station for theatre and drama. We were the first set of students to begin the fans club. After one of our presentations at the radio station and we were set to go, Baba sent someone to call me and he told me to visit him once in a while, but I was not used to visiting people because I came from a very strict Christian home. My parents attend Christ Apostolic Church and my father was a church leader. It was after I got married that I started knowing places because we were not allowed to go out way back then. How then did the visit lead to marriage? Baba later told me I should tell them in my house that he wanted to marry me, but I just didn’t know how to mention it to my parents. I could talk more freely to my father than to my mother because my mother was stricter and harsher than my father. My father was soft-minded. Then, one day I asked my father if he knew one man named Adebayo Faleti, and that he had proposed to marry me. My father said he wanted me to go to school and get better education and not marry at the time. So, I told him I have heard. I later went to my husband-to-be then and informed him of my parents’ wish for me to be well educated. So, he said that he would support me to further my education. He engaged a teacher for me to prepare me for an examination in Teachers Training in Iyana Offa. But I guess, some people advised him that because of my youthfulness, that I might run away from him if I gained admission into the Teachers Training College and more so because of my faith. I even had someone I was dating before that time. Baba assured me I was safe with him. I became pregnant for him but I didn’t know how I was going to tell my parents at home. My mother observed some changes in my body and then challenged me if I was pregnant and I reluctantly said yes. At midnight around 1am, my parents chased me out of the house naked. My father ran after me but I ran as fast as I could. I took refuge in the house of one of my father’s converts, Mrs. Joke Ishola. She was surprised to see me because I had taken a rag from somewhere along the road to cover my nakedness. When I got to her house around 2am, she was shocked to see me but she accommodated and clothed me. Before daybreak, I set out for BCOS Quarters where Alagba Faleti was living at the time. After I narrated my ordeal to him, he said he would look for someone to go and beg them. In the morning, my late husband with now late Prince Bayo Sanda, Prince Adenle and Prof Olatunde Olatunji went to my parents, but when they got there, some of them left their shoes, others left their caps and they were embarrassed because my mother really dealt with them. She said that they were out to take advantage of me and cheat our family because we were poor. My mother even insisted I would not marry a man who already had a wife. Later I went to him too to tell him, I don’t want to marry someone with two wives because of two reasons, that I was a carefree person and that I was a very jealous woman too. But Faleti insisted and assured us that he had no wife at home. After I had secured a job with NTA, one day I told my parents we were going on a journey to Abuja but I just packed a few things and went to his quarters. That was in 1981 and I was just 20 years old. After a few days I suspected my father got a hint that I didn’t travel and he came to my office to meet me and insisted I must go back home with him. Later as a result of the pressure, my father asked me to go and stay with an aunty at Yemetu Aladorin because he was not pleased with the pregnancy. Later, I went to Faleti and told him my desire of an elaborate white wedding which my father had even earlier requested before he would approve of the marriage. My husband assured them that he was ready to do anything they wanted and that was how he took me to Mapo which was the headquarters of the Municipal Council at the time for our wedding. That was how we started living together up until his death. With those challenges from your family, how was the relationship then? We were very close during his lifetime, because from the time my parents rejected me as a child, he accepted me as a child and all the promises he made to me that he would not allow anything to hurt me. He was fulfilling all the promises after we got married. I couldn’t eat alone anymore to the extent that after he had gone to work, I would not eat until when he had come back. He was doing the same thing by not eating out until he got back home because he knew I wouldn’t have eaten until he got back from work. We were so close to the extent that I was wearing his pants. Until his death, if you came to our house very early in the morning, maybe around 6 am, or in the evening, I would be seen wearing his cloths all around the house before I would later get dressed for the day’s activities. Baba was always willing to give me his ‘buba’ to wear instead of tying wrappers all around the house. We were so close. Since the day he died, I have not been able to sleep on our bed, because I have always been thinking of how it would be without him. There is a cloth somewhere in the house, baba gave it to me to wear in the house. I will forever miss him. What were some of the discussions you had with him before his death? Before he breathed his last, we were always discussing about my retirement as I am already nearing my retirement from the service of Nigerian Television Authority (NTA). In fact, I will retire on August 8, 2018, because I joined the service in 1983. He was always discussing with me post-retirement plans and I always asked him what he wanted me to do. As at our last discussion, he still told me he wanted me to remain in the house and sell petty things instead of just doing nothing. He started building a small shop for me where I could display some petty items as a way of staying busy but I was not too keen on the idea because I kept telling him that instead of erecting a structure again, I could use one of the available spaces to store whatever I have to sell. But he reasoned that after everyone might have gone, I could be using the shop just to stretch my legs and later come into the house again instead of just remaining indoors. It was the issue of the small shop we were still discussing when old age and taking care of him engaged our attention. If you look at his age, when we went to formally inform the Alaafin of Oyo, Oba Lamidi Adeyemi, of the demise of Adebayo Faleti, the monarch said, Faleti was his father and not his elder brother. If we do the calculation correctly, he should be around 106 years going by many evidence and the things that surrounded his upbringing. But, if I come again to this world, I want God to give me a man like Faleti again. He was my friend, my father and my colleague. There was a man who used to stay close to our house. His name is Mr. Ayeni, an activist. After losing his wife, he insisted he would not remarry, but on seeing the kind of relationship and rapport between Faleti and I, he changed his mind. I was indeed very close to my husband and I don’t know if I will ever be able to see anyone like him again. You are Baba’s only wife indeed. Did all of Baba’s children older than or the same age as you drop from heaven? See how some women bring problems upon themselves through careless utterances? You should be uniting, not dividing the family at this time of loss. May Baba’s soul rest eternally, amen.